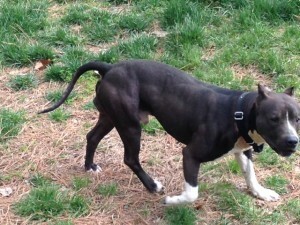 A dark brown male pit bull was found today (Saturday, March 26) in our neighborhood. He’s currently hanging out in a fenced-in yard for the time being. If anyone knows who he belongs to, please contact Kristin on Oxford Dr. at 919-260-8713.